Western blot of HEK293 overexpressing Man2A1 using PA5-18851, mock transfection as a control in first lane. Western Blot staining of Human Placenta lysate using PA5-18851 at a concentration of 0.3 ug/ ml, the primary antibody incubation was 1 hour and the detection method was chemiluminescence. Western blot analysis of MAN2A1 in 293 cell line lysates using 35ug per lane of antibody. 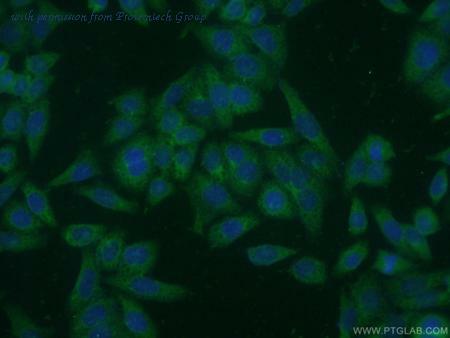 orb19722 (0.3ug/ml) staining of Human Placenta lysate (35ug protein in RIPA buffer). Primary incubation was 1 hour. Detected by chemiluminescence. HEK293 overexpressing Man2A1 (RC220186) and probed with orb19722 (mock transfection in first lane), tested by Origene. 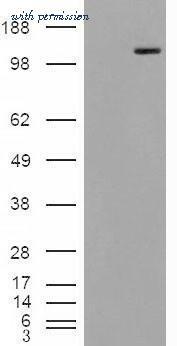 The MAN2A1 antibody from Proteintech is a rabbit polyclonal antibody to a fusion protein of human MAN2A1. This antibody recognizes human antigen. 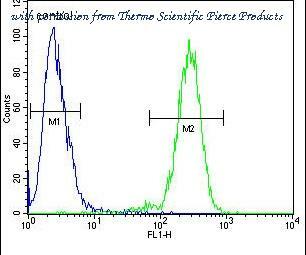 The MAN2A1 antibody has been validated for the following applications: ELISA, IF analysis.